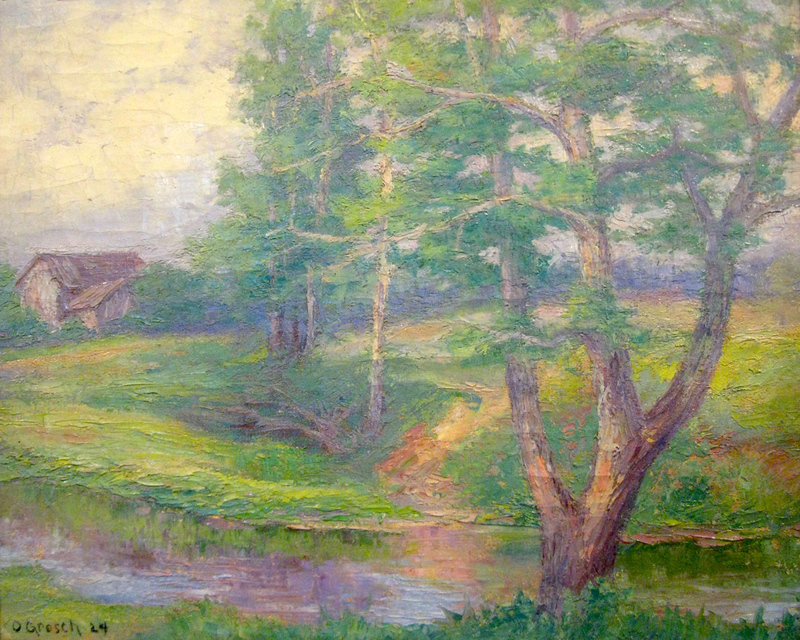 Pond near Springfield, Ohio, 1924, oil on canvas by German American artist Oscar Grosch (1863–1928). In 1916 Sherwood Anderson wrote to Waldo Frank, editor of the short-lived (but incredibly influential) literary monthly Seven Arts. I am glad you liked the story "Mother" and that you are going to publish it. Damn it, I wanted you to like the story about Enoch Robinson. . . . Why do I try to convince you of this story? Well, I want it in print in Seven Arts. A writer knows when a story is good, and that story is good. Sometime when I am in New York, I'll bring that story in, and I'll make you see it. “Mother” was the third of four Sherwood Anderson stories published in Seven Arts, and it appeared in the March 1917 issue. Anderson visited Waldo Frank in New York around the time the issue arrived from the printer and, if they did in fact discuss the rejected story, “Loneliness,” Anderson was unable to change Frank’s mind. Six months later, after only twelve issues, the monthly folded when its patron, Annette Rankine, under pressure from family members, withdrew her support because of the magazine’s staunch opposition to America’s entry in the European war. 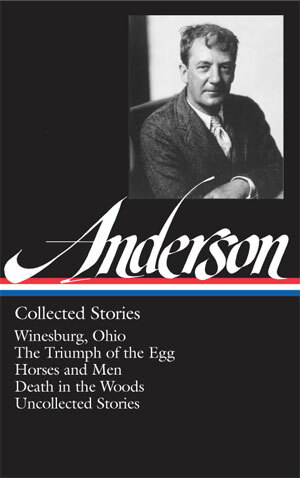 Between the beginning of 1916 and the end of 1918, Anderson published in a trio of little magazines—Seven Arts, Little Review, and Masses—a total of ten stories set in the fictional Ohio town of Winesburg. In May 1919 he gathered these interrelated stories, along with more than a dozen additional selections (including “Loneliness”), in the book that would be his masterpiece: Winesburg, Ohio: A Group of Tales of Ohio Small Town Life. At the end of the story “Adventure,” the character Alice Hindman muses, “Many people must live and die alone, even in Winesburg.” One of those isolated people is Enoch Robinson, the central character of “Loneliness.” Hoping to become an artist in New York City, Enoch draws and paints various hometown memories but, to make a living, ends up as an illustrator at an advertising firm. Some scholars have noted the apparent parallels between author and character, since Anderson also left his hometown, married, had children, and worked in advertising to support his family. What Enoch does with charcoal and paintbrush, Anderson did with pen and typewriter. Free audio: This selection is accompanied by a streaming audio version, read by the award-winning short-story writer Antonya Nelson. He was the son of Mrs. Al Robinson who once owned a farm on a side road leading off Trunion Pike, east of Winesburg and two miles beyond the town limits. . . . If you don't see the full selection below, click here (PDF) or click here (Google Docs) to read it—free!